Delving into my One Little Word, DISCOVER, for today's Slice of Life. Thankful for a day of cold to sit by the fire and write. The patio is no place to be today! Stop by the host site to read more posts or join the conversation. During the beginning of January I enjoyed reading about everyone's One Little Word finds. I was having so much fun I decided to round up the posts of other bloggers to see which words had been chosen. It was Michelle Nero's post about her word that really made me realize I needed to think a little more about my #olw, DISCOVER. I'm in an interesting place. For the first time since I can remember I have more time. My oldest is teaching in another state, my middle is busy with college (yep, another teacher), and our youngest will leave for college in the fall. All of this time makes it easy to invest more time into my teaching which I truly love, but I also know I need to set limits. I need to find other ways to spend my time. 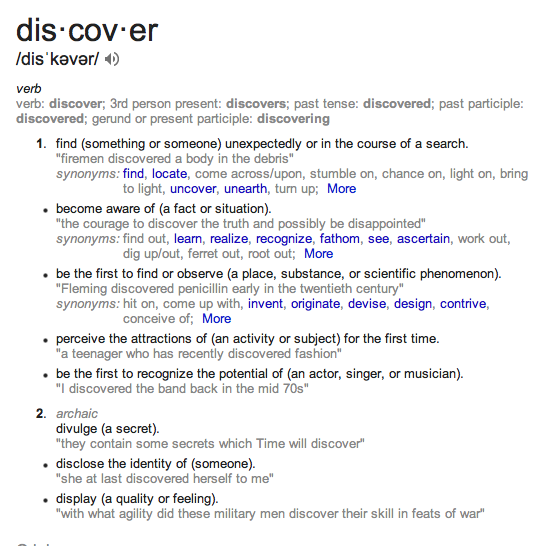 For this reason, I chose the word DISCOVER for this year. I took some time to think about how I like to use my time and new things I want to discover. In some cases it is reseeing what is right here, in other cases it is discovering something new, but most of all it will require slowing down and having new eyes. Time: I hope to DISCOVER new ways to use my time. There are so many things I like to do, but fitting them all into my schedule is always the challenge. Books! : I hope to DISCOVER new books. Carving out the time for reading is essential to this new plan. Spending more time with fiction is a big part of this plan (and my #nerdlution). Places: I hope to DISCOVER places near and far, big and small. I'm going to start with great places to eat. You have to love a goal like this. When we travel we always comment about how we know less places in our city than in the cities we visit. My hope is to intentionally discover new places in Columbus and also discover new places as we travel. Cooking: I hope to DISCOVER new recipes and Pinterest has sure helped me to begin this journey, but I also want to discover more about spices and ways to improve the flavors of food. Photography: I hope to DISCOVER ways to improve my photography. I'm not planning on anything fancy here, but I'm thinking I can learn more about using my iPhone to photograph discoveries first. Genealogy: I hope to DISCOVER ancestors' locations before coming to Ohio. I have many family lines back to the early 1800s, but apparently our family loved Ohio because in only a few cases does this take my research outside of our state. It has been several years since I have worked on my research and I want to spend more time discovering these stories. This will mean a few trips, visits to local historical societies and county courthouses, and much discovery. 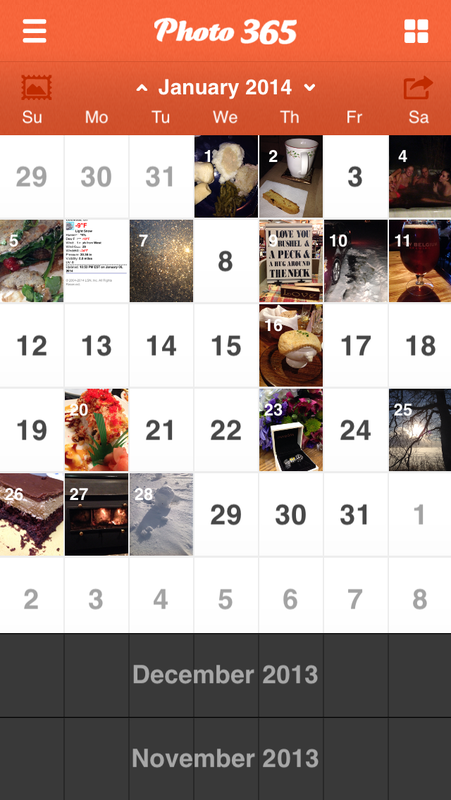 I'll be keeping track of my discoveries using Photo 365. I can't wait to see the surprises ahead. It's Poetry Friday. Today's event is hosted by Donna at Mainely Write. 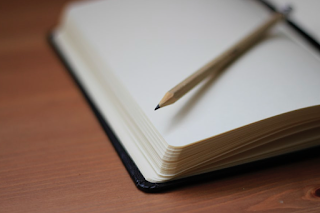 Stop by for more links to great poetry. 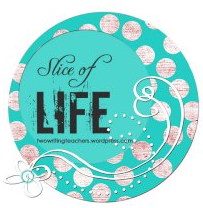 Today's post is part of the Slice of Life roundup at Two Writing Teachers. Stop by for links to many great slices or, better yet, join the fun by linking your own piece. Thanks to all for hosting. In case you haven't heard, it's cold outside. It's true, a good portion of the United States is under the coldest freeze in many many years. If you just take one step outside, your breath just gets taken away. I'm guessing a hundred years ago people went outside to figure out how cold it was. In today's world, you don't have to leave your house to know it's cold. There are all kinds of media and gadgets to tell you in case stepping outside isn't enough for you to know. For today, here are a few ways you know it's cold outside if you can't figure it out yourself. 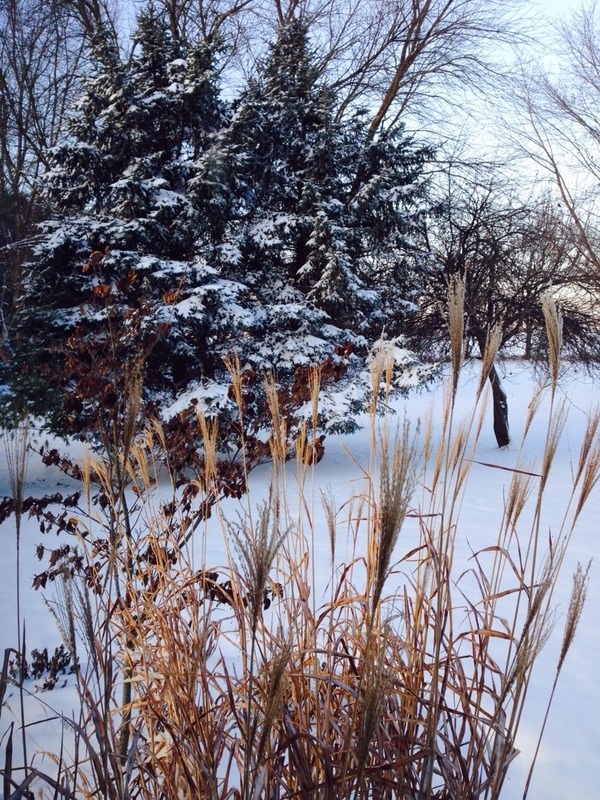 Turn on Your Television: Those sharing the forecast are happy to build the drama of the cold. They'll teach you about the polar vortex. Show you maps to help you know how cold it really is. They'll use their gadgets to keep you informed. School Closings: Yes, when the school closing start to roll you'll know it's cold. Check Facebook. Every post is about being cold. 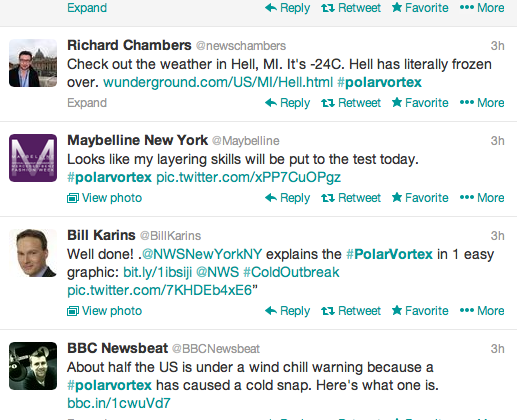 I'm sure if you scroll through your feed you'll find comments, comics, and images about the temperature outside. Yep, in case you didn't know, it's cold outside. Still don't know it's cold? Ask Your Car. If you're still not sure and you decide to go out to find out for yourself, your car might tell you. 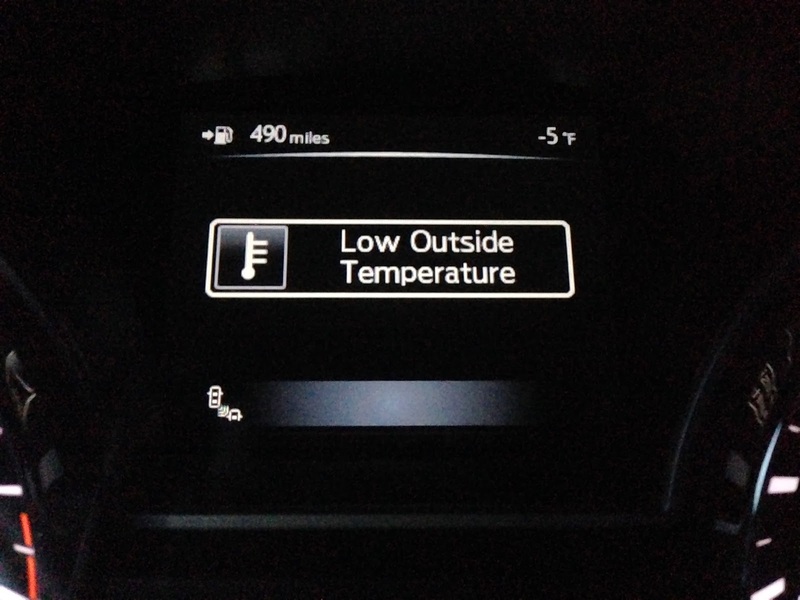 My Nissan tells me when it is cold by declaring "LOW TEMPERATURE." My Nissan thinks it should live in Florida apparently as it starts telling me "low temperature" at 37 degrees. Really? 37 degrees isn't cold in Ohio. 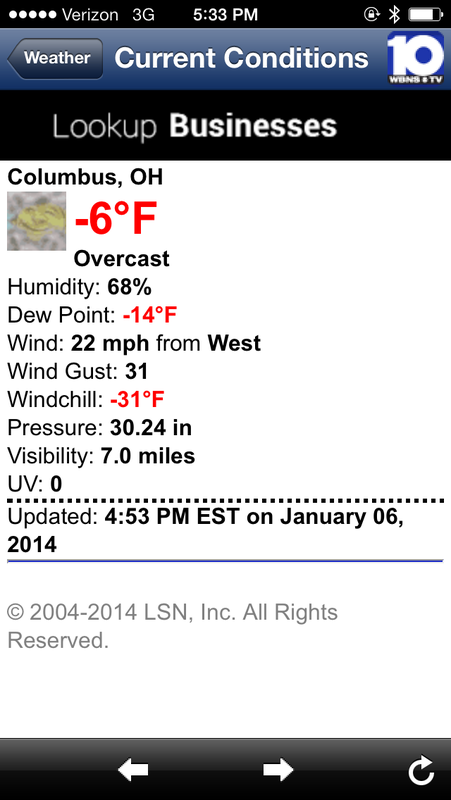 This week, however, when it registered negative numbers I agreed it might be cold. There you have it; a few ideas for determining whether it might be cold or not. If none of these work, perhaps try the old fashioned method of going outside for a bit. How bundled up do you need to be? Can you see your breath? Does the air just take it away? Can you feel the cold grab your cheeks? Yep, it's winter. Bundle up. I'd love to hear the funny ways you know it's cold in the 21st century. 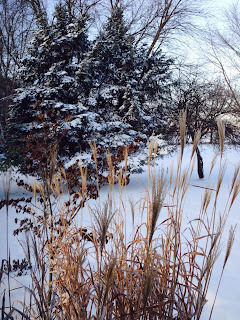 Today I join Ruth Ayres as she hosts this week's celebrations at Ruth Ayres Writes. Stop by to read her post and follow the links to other celebrations. The Christmas season gives us plenty to celebrate. Today I'm celebrating FAMILY. It's Poetry Friday. Today's event is hosted by Betsy at I Think in Poems. 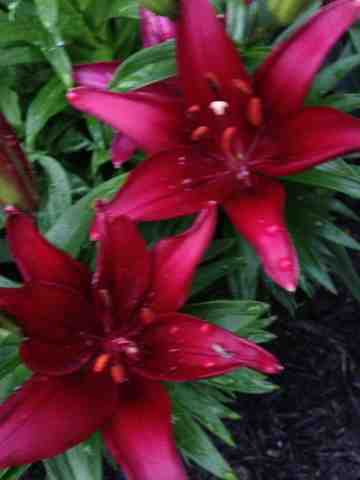 Stop by for more links to great poetry.